Scott Frost’s homecoming sent jolts of enthusiasm through the highways, coffee shops and social media pages of Nebraska. But Frost’s rise to Husker head coach was decades in the making. This definitive account of his family details Scott’s roots, including his mother’s heroic path to the 1968 Olympics and his father’s influence on the Bob Devaney era. It sheds new light on Scott’s high school theatrics at Wood River and unique college recruitment, his frustrations at Stanford and turbulent two years as NU quarterback, culminating with a national championship. Interviews with NFL coaches Todd Bowles, Mike Tomlin and Bill Belichick reveal Frost’s appetite to learn. 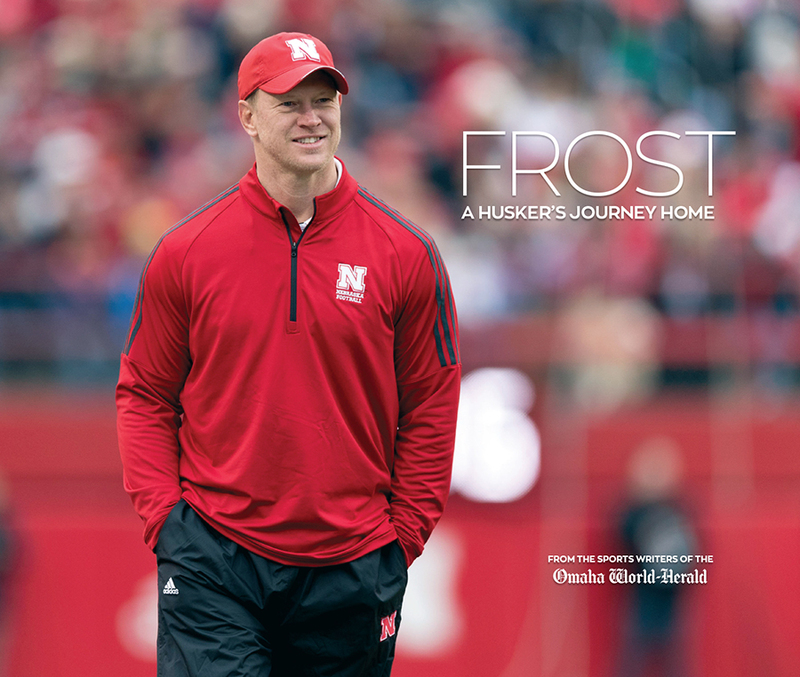 And a close examination of Husker football’s past 20 years illustrates how Frost’s return doesn’t happen unless the program loses its identity. This is the extraordinary story of a native son who was destined to be Tom Osborne’s heir. All told with never-published photos plus fresh reporting and perspectives from The World-Herald’s award-winning sports writers.